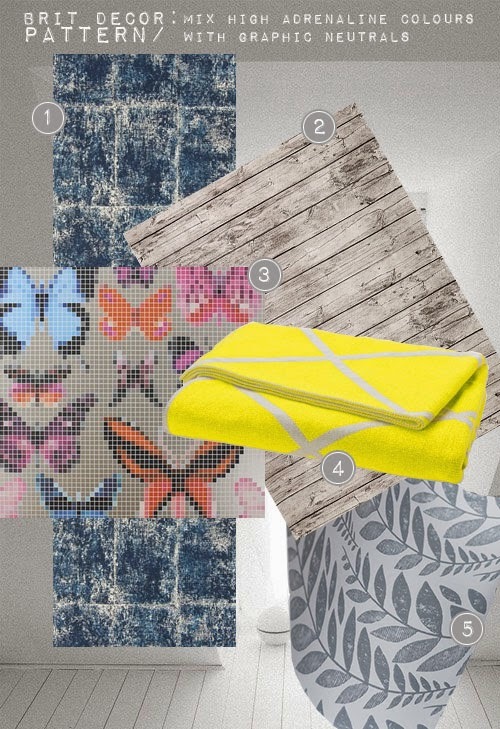 Textiles and wallpapers are essential ingredients as they can make or break a scheme. I love working with these elements because they are so interchangeable - it's incredibly easy to change a cushion cover or add some exciting new curtains, and the impact is immediate. 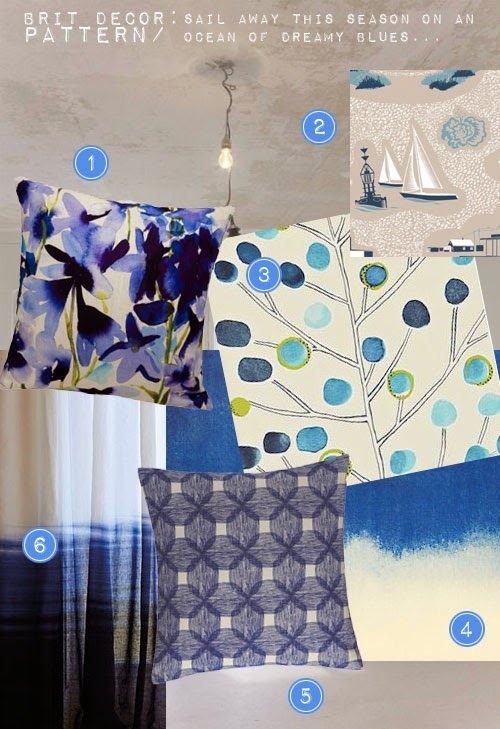 Blues are featuring heavily in the world of interiors in 2014, from the moody indigo block print Saru wallpaper, no.1 above, to the deep watercolour blues of the Harebell cushion, no.1 below. My two favourite picks today have to be Aura's striking Diamond throw, no.4 above (vivid yellows are a must this season!) and Habitat's blue sketch design Pacific cushion, no.5 below. My top tip is to fully explore and exploit whichever colour palette excites you the most and try to incorporate this through a combination of textiles such as cushions and throws. Once you have chosen colours that you are happy with, explore the possibility of adding a feature wallpaper in a corresponding colour.